YOUNG and old stood side by side to pay their respects to the men and women who lost their lives during conflict. 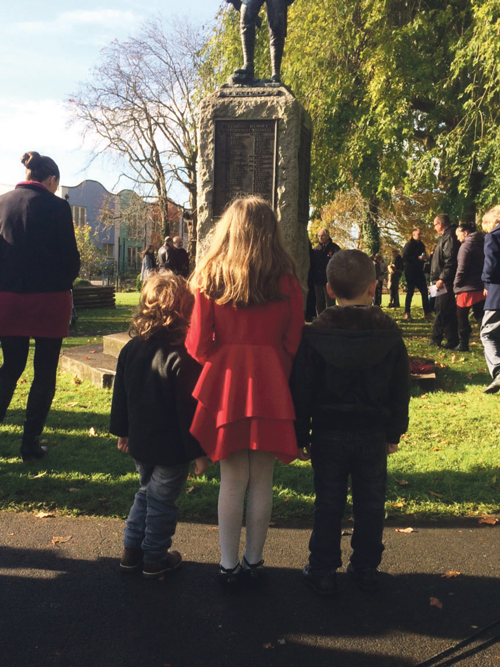 Wearing their poppies with pride, visitors to Fishponds war memorial paid their respects during a two minute silence on Remembrance Sunday. This year's service at Fishponds Park was particularly poignant as it marked the 100th centenary of the Battle of the Somme, in which more than a million men were killed or wounded on all sides. The event started with a service at St Mary's Church before moving to the newly listed war memorial in the park for hymns and commemoration around the cenotaph.